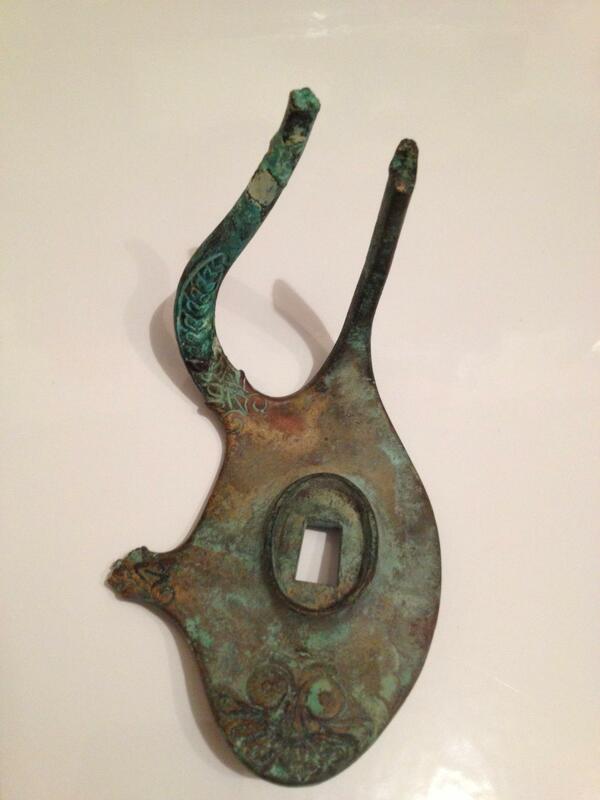 Here is another fine relic that was recovered from the Perryville Ky Battlefield many years ago. This is a brass patch box cover that went on a Model 1841 Mississippi Rifle. The Mississippi Rifle was considered one of the most accurate and best looking rifles during the war, and a highly prized collector piece today. 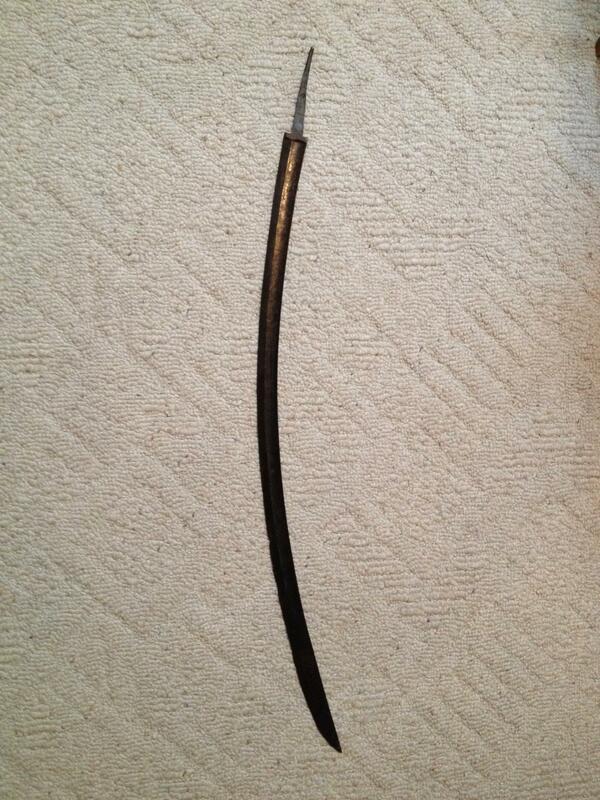 I picked up this sword blade from a friend of mine, who dug it in Nashville Tenn. about 20 years ago he said. After closer examination of the blade, you can see that it is acid etched on about half of the blade, with cross flags and a floral design. Although the hand guard is missing, what a great find. This sword blade is an import, probably French, and the design dates it back to 1812-1820. Inside their boots for a back up weapon. They were only meant to be shot at close range, with such a short barrel, and no riflings. Not very accurate at all. And the best part is that when this was recovered from the ground, we noticed that it was still loaded. What an awesome find! 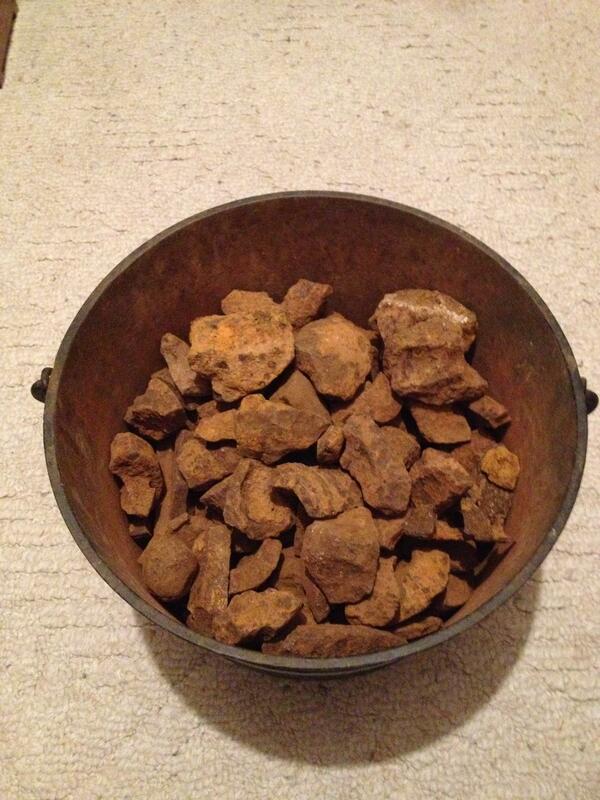 What looks like a kettle full of rocks, is actually a kettle full of artillery shrapnel. These are pieces of cannon balls that have exploded. Not all cannon balls were solid iron. A lot were hollow and full of black powder and grapeshot. After being shot, these cannon balls would explode in flight and send shrapnel flying all over the field of battle. Very devastating to the foot soldiers. 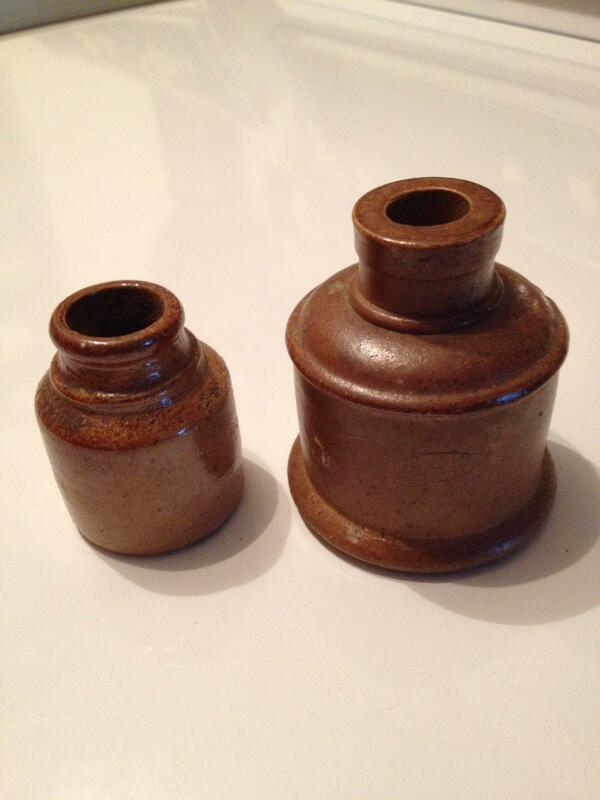 These two ink wells were dug in winter camps around Tennessee. They were made in all shapes and sizes. Very seldom do you find these not all chipped and cracked. 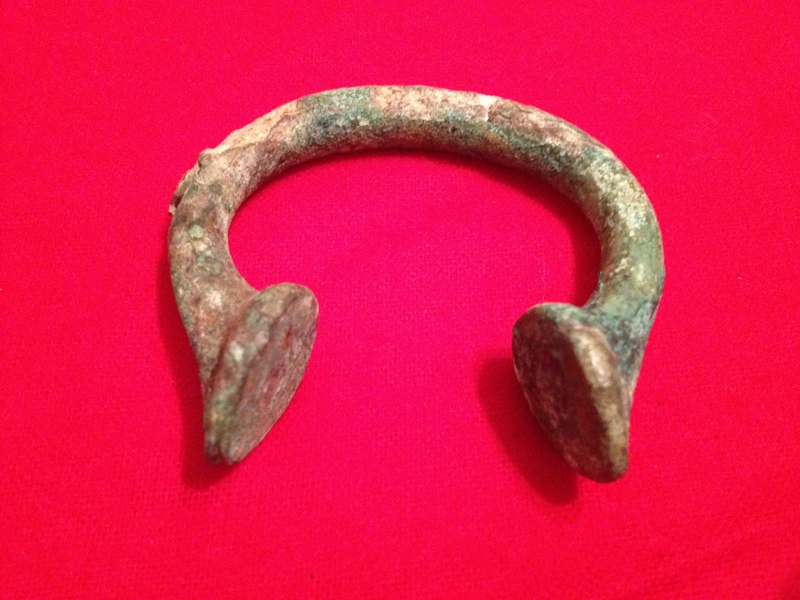 I picked up this armlet in Savannah GA also. A lot of people call these slave bracelets, but this actually a form of money, or Manilla. They were made of iron and bronze. They soon became know as “slave trade money”. A lot of European countries were taking these, mostly to and around Nigeria, and would trade these for slaves. This particular one was found just off of the coast near Savannah in the ocean. That is why it is in such rough condition. The effects of salt water. 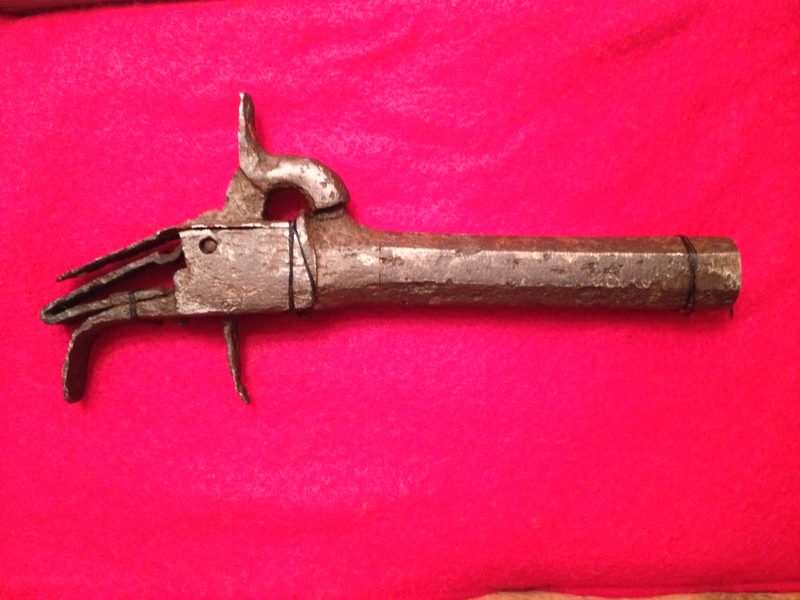 This old spur was dug across the road from Camp Nelson in KY. 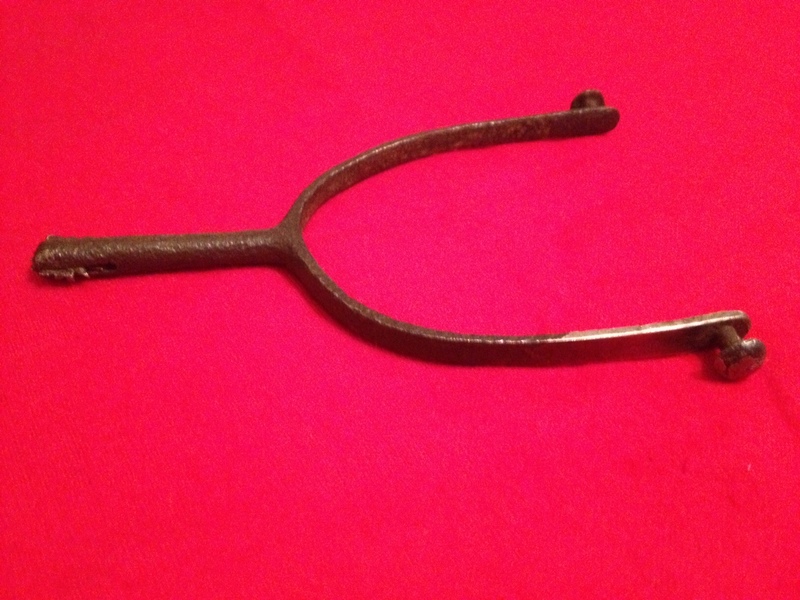 Although this is not a military style spur, ones like this were worn by some of the “southern” boys who joined up with Calvary units. 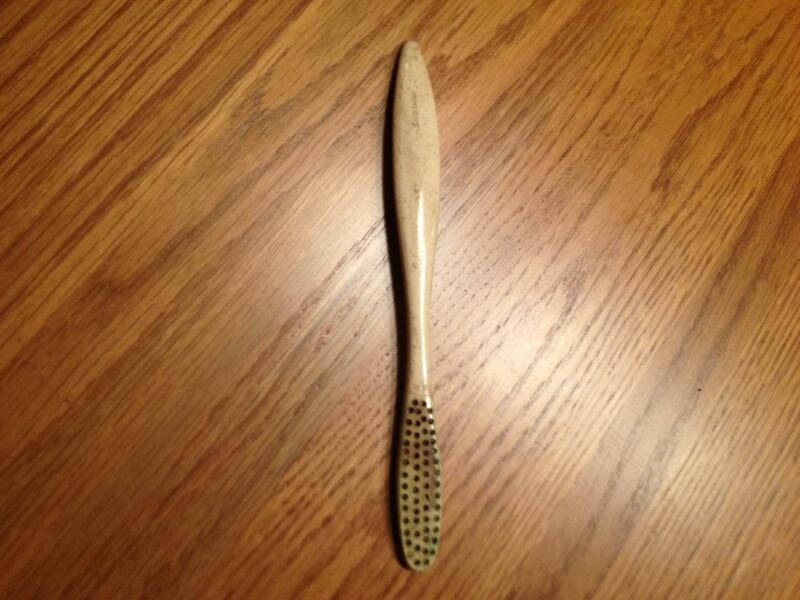 This one appears to have had a nickel finish on it at one time. 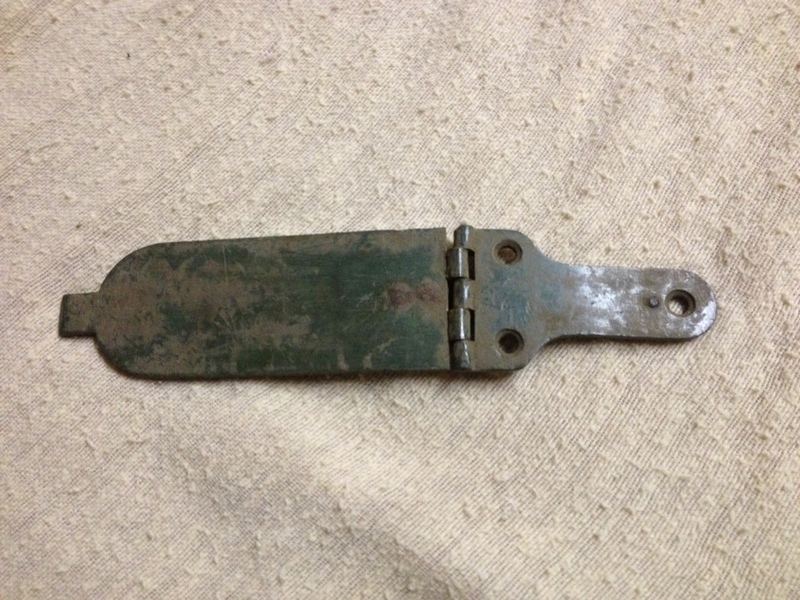 Neat old pre-war spur. 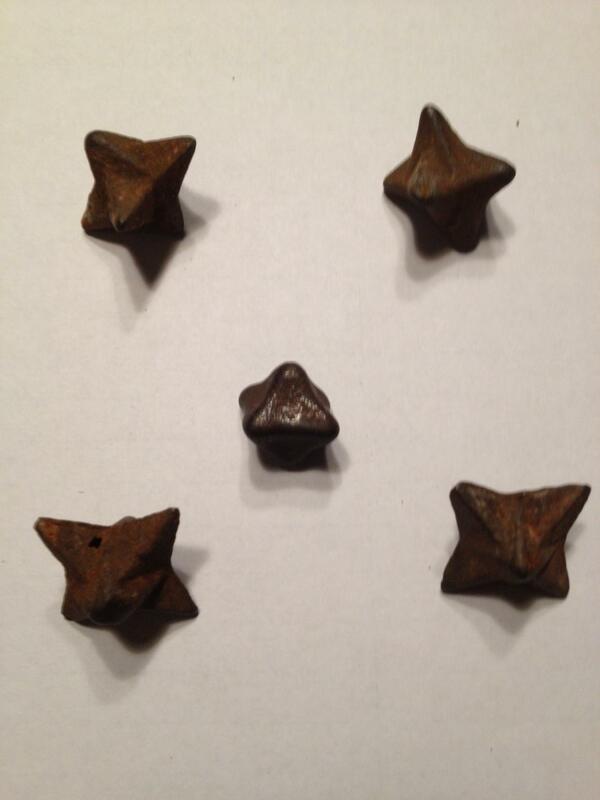 These caltrops or “cripplers”, were dug in southern Tennessee. These were thrown on the ground to cripple a horse if it stepped on it.